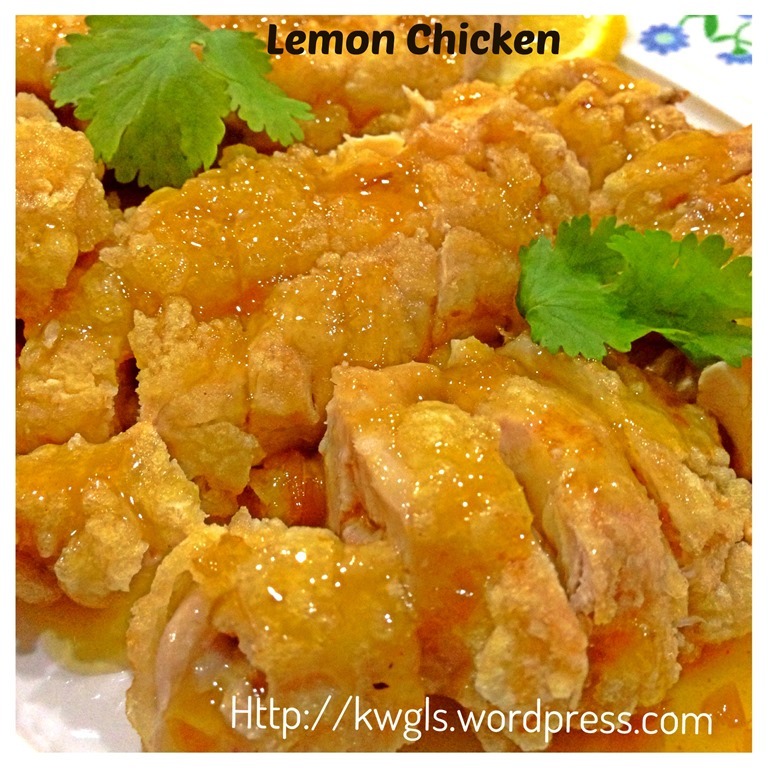 I love lemon chicken, a star hawker/local poultry dish in Singapore and Malaysia. 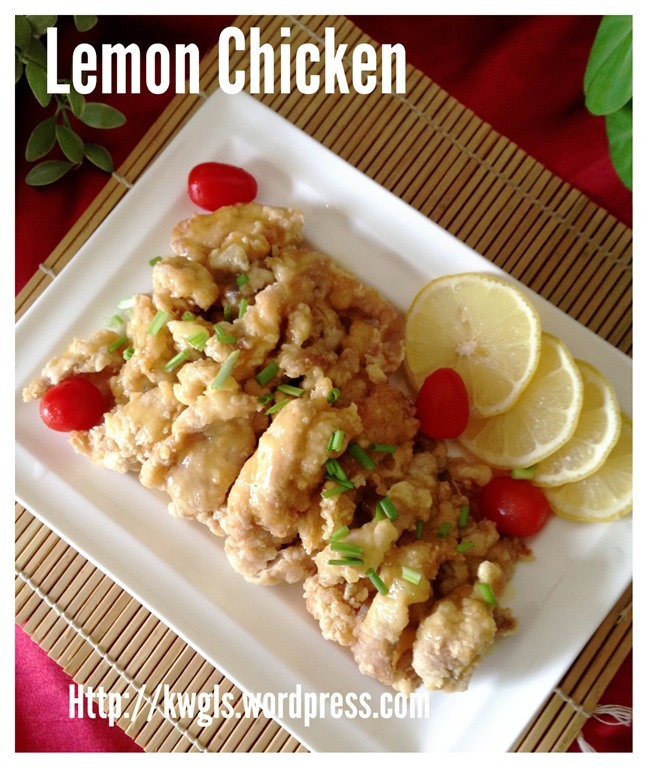 Put it simply, it is just a big piece of deep fried chicken meat served with lemon sauce. People from most age groups would love this dish because it had a slightly crispy outside and the meats were very tender inside. 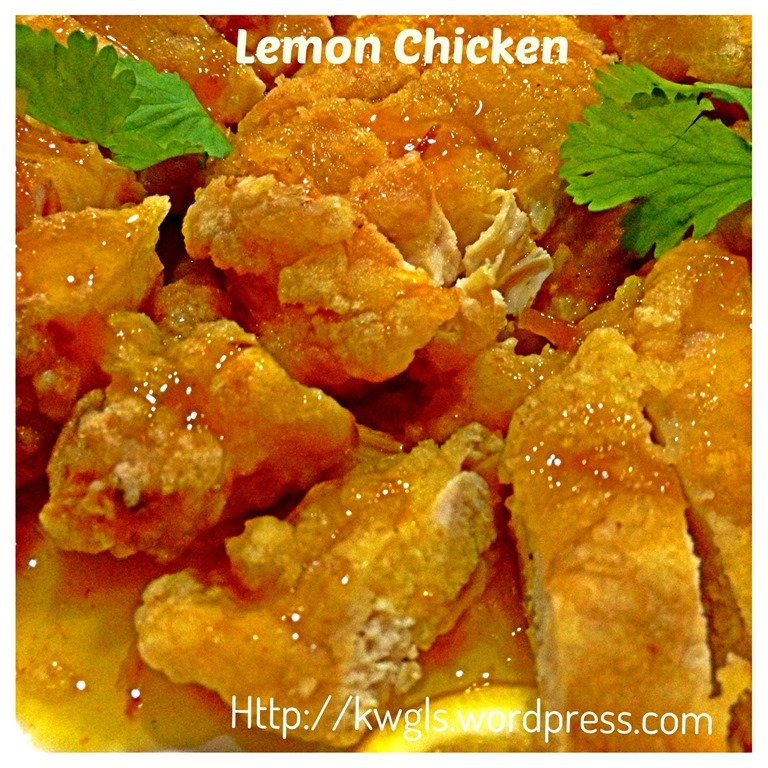 The slightly sweet and tangy sauce goes well with the richness of the flavoured fried chicken. 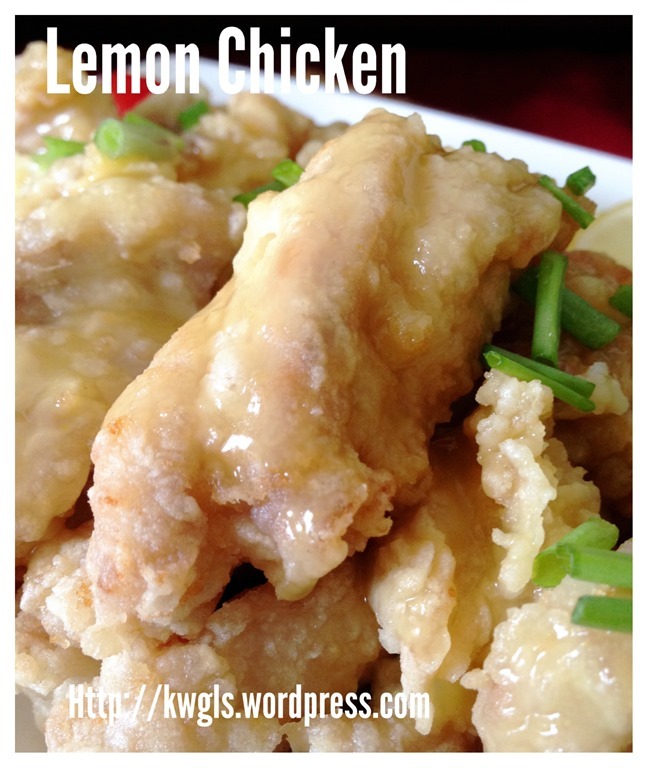 I was so shocked to find that this star dish is even easier to prepare then the Panda chicken that I posted yesterday. Not even marinating is required. 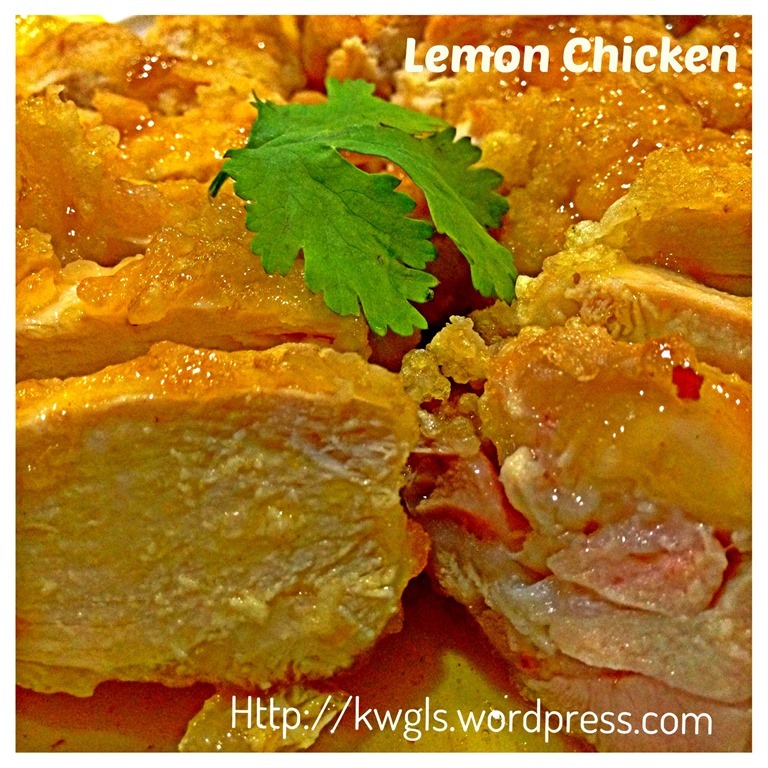 I have get the recipe from the same cook book “The Cooking of Singapore” and I have decided to try out preparing it yesterday since it the ingredients and procedures are very simple. I have to say, overall I am pleased with this recipe except the inclusion of turmeric in its sauce. 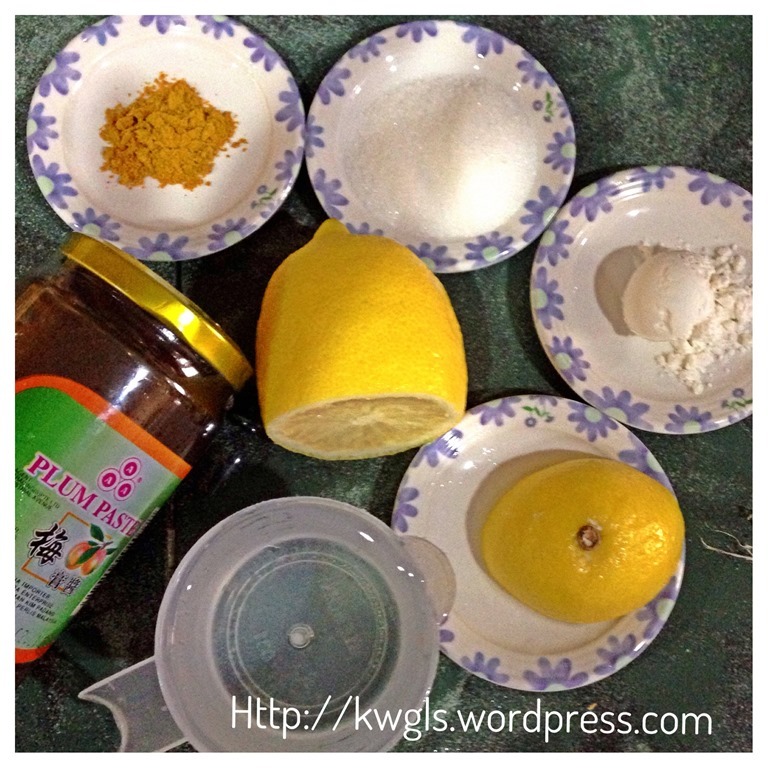 I believe the role of turmeric is for colouring purposes, however, I found that there may be no such a need as the turmeric flavour can be too strong for the sauce. Therefore, for readers, I will list out turmeric as optional and it is up to readers where you want to include this spice in the sauce. 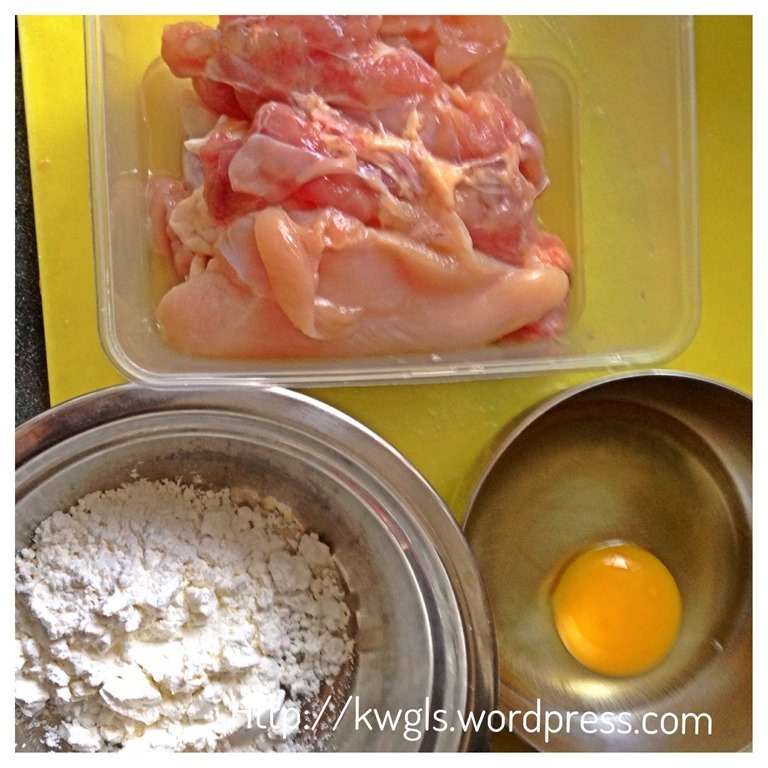 Dip the chicken breast/drumsticks in the beaten eggs lightly and coat with the corn flour. You can either have single or double coating. 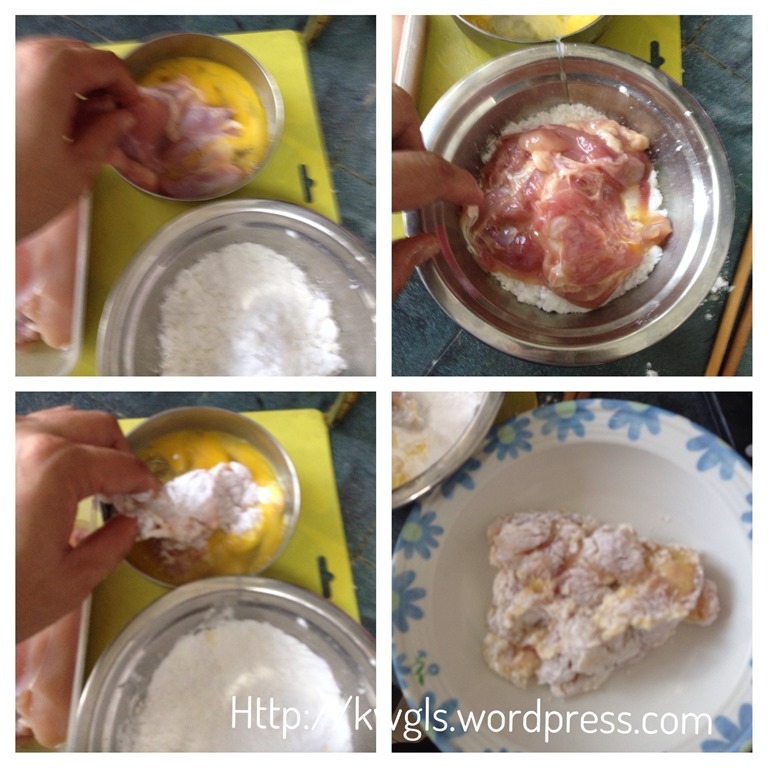 Double coating means that after your first coating, dip your chicken into the egg and recoat with corn flour again. This will give you a thicker fritter skin. 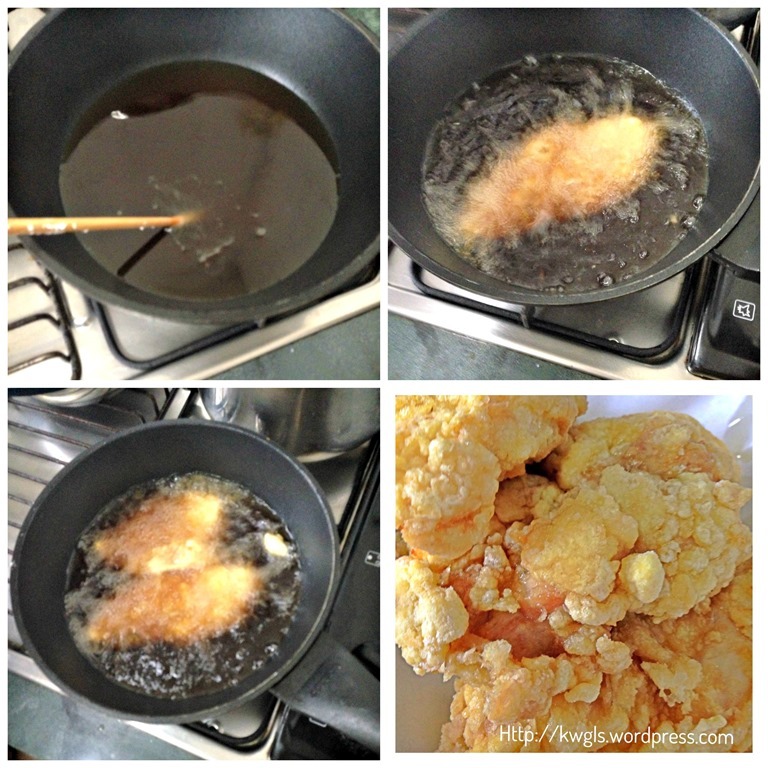 Heat up a pot of oil and use a chopstick to test whether the oil is hot enough for frying the chicken. It is considered as ready when the chopstick starts to emit bubbles when inserted into the hot oil. 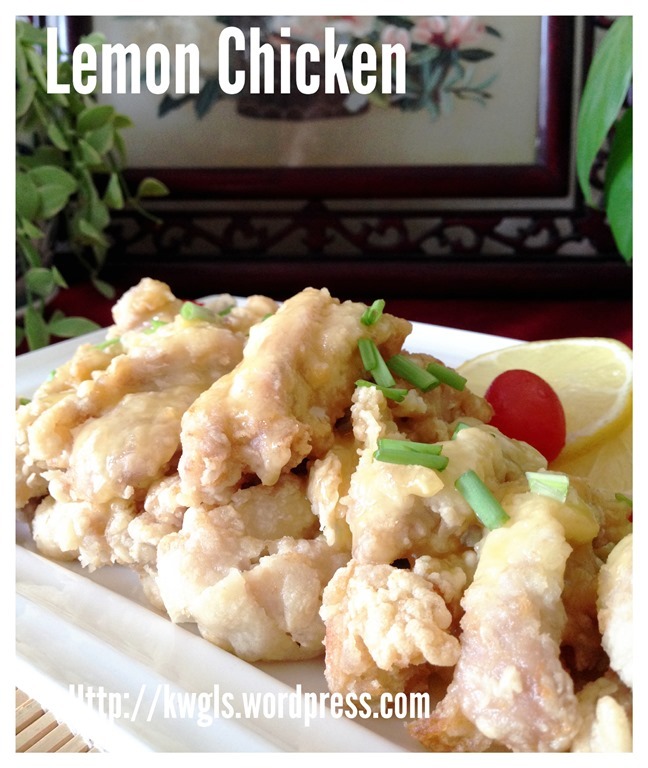 Put the flour coated chicken meat and deep fried until golden brown. Drain and put it on top of an oil absorbing paper. Place all ingredients in the pot, use a balloon whisk to stir until well mix and ensure there are no lumps of flour in the solution. Heat the sauce under medium heat and bring to boil. The sauce is considered as ready when the sauce become transparent. If the sauce is too thick, add 1-2 tablespoons of water to the sauce. 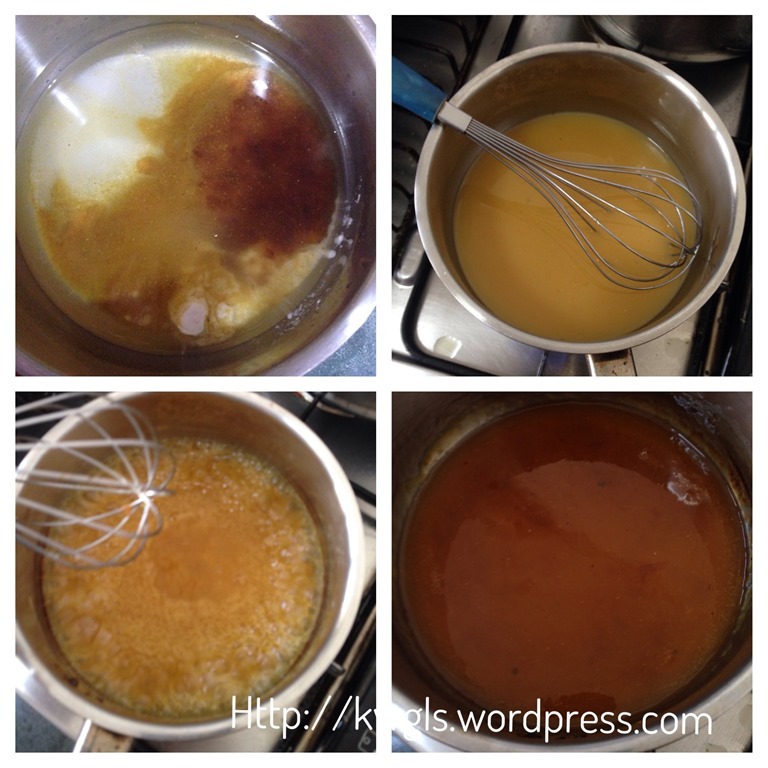 You have to continuously whisking the sauce throughout the process to ensure that the sauce is smooth. The entire process should take only 3-4 minutes. 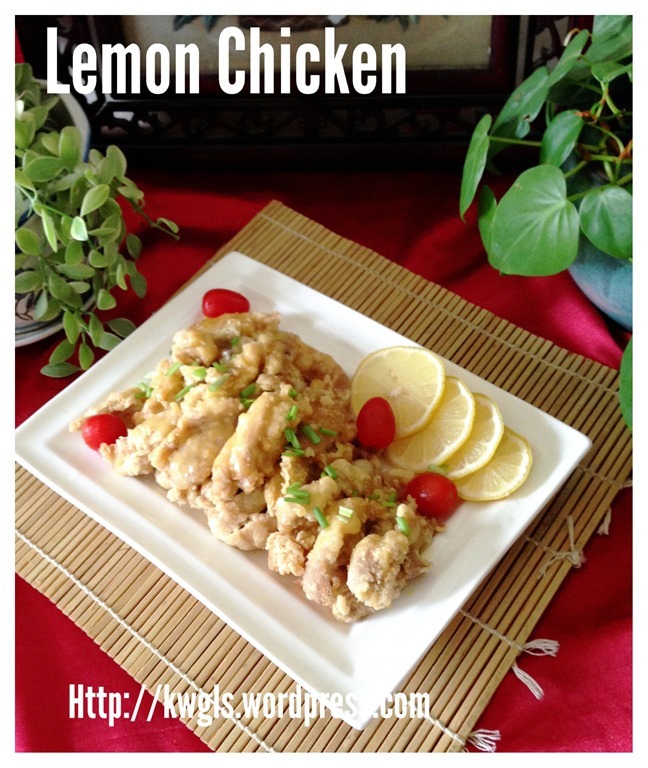 Cut the chicken into about 1 inches strips and place on a serving plate. 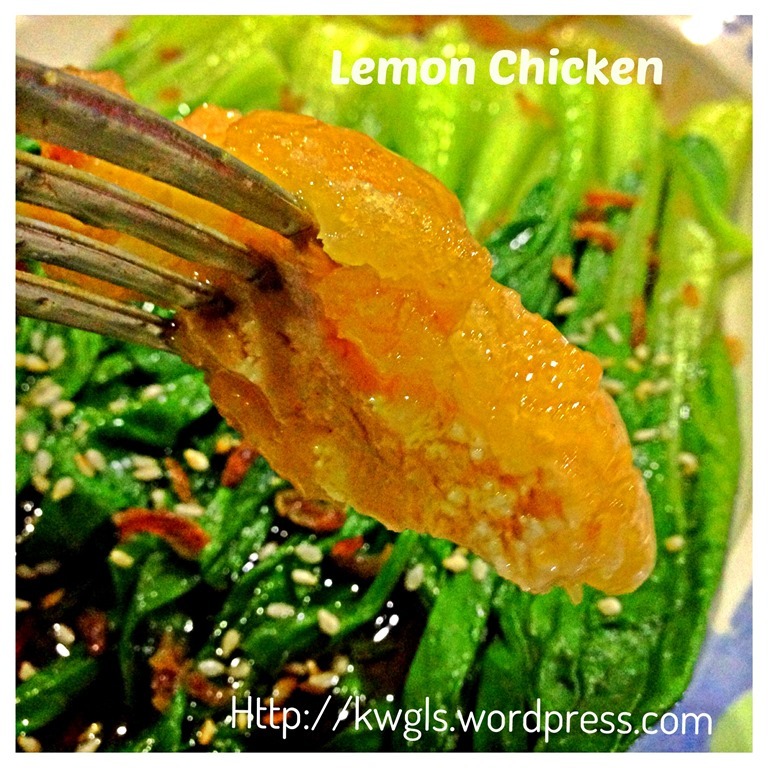 Drizzle with the lemon sauce and garnished with lemon wedges.The dish is best served hot when the chicken is still crispy. Therefore, you can prepare the sauce before you deep fry the chicken. 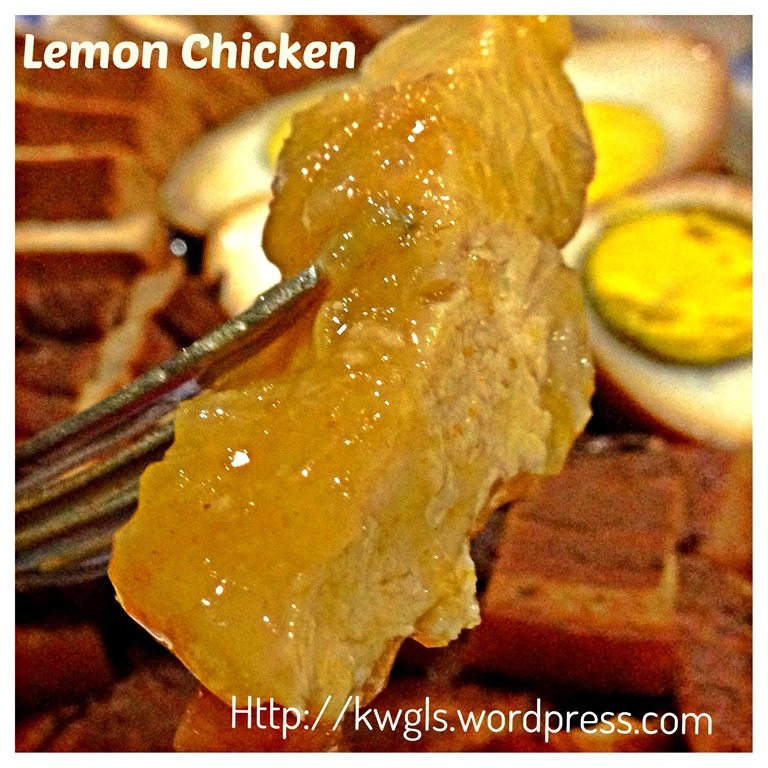 I was shocked that the recipe is so simple and no marinating is required. 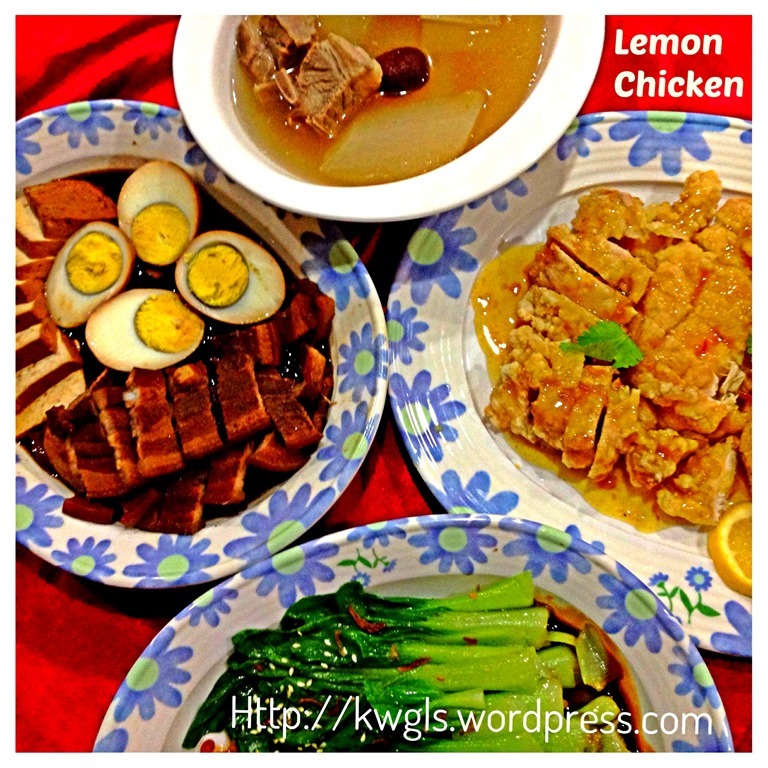 Like many other Chinese dishes, there are a lot flexibilities and the quantity of seasoning will depends on family’s taste buds. 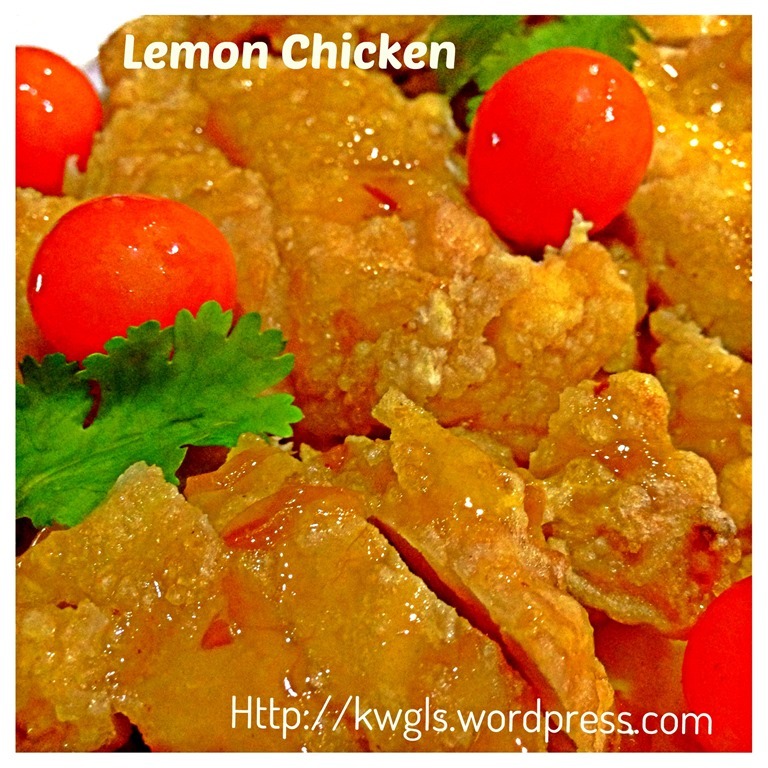 To have a change, substitute the lemon juice with orange juice, rest be assured that the orange chicken will be equally delicious. Again, if you have a air dryer. 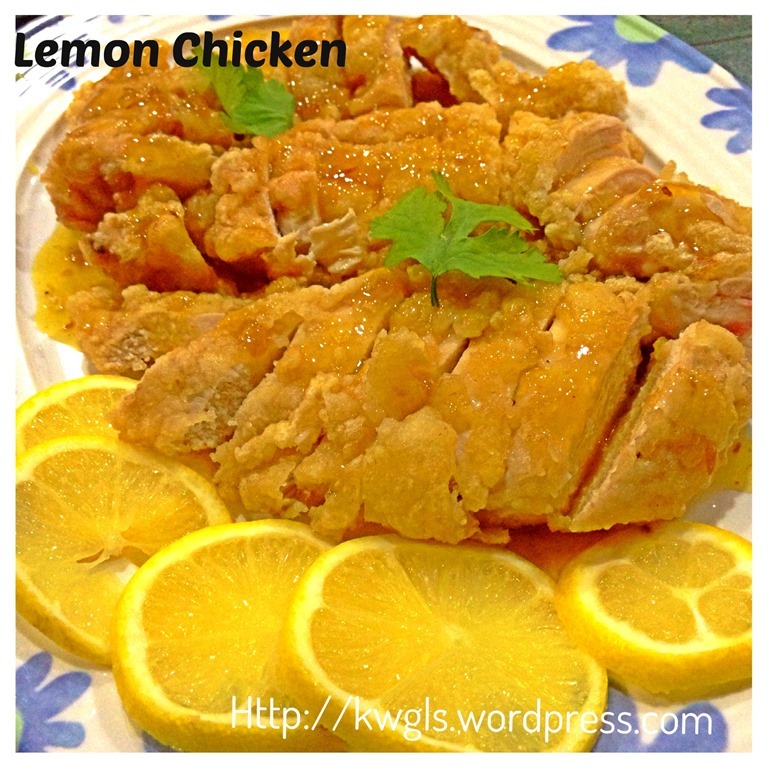 do make use of it to air fry the chicken meat. 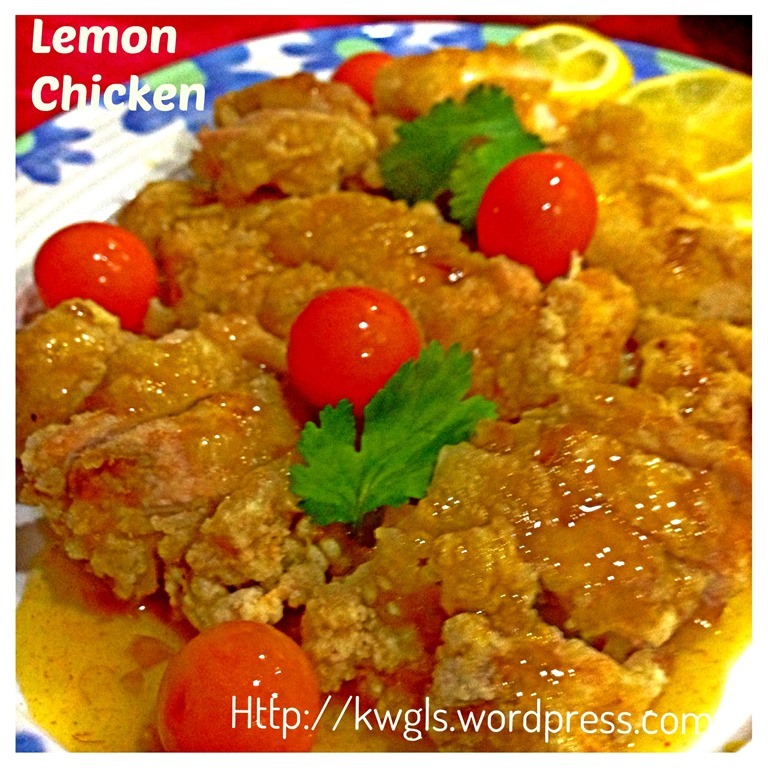 This entry was posted in Food Preparation Series, Meat Dishes and tagged 8, GUAI SHU SHU, Guaishushu, kenneth goh, lemon chicken, orange chicken, postaday. Bookmark the permalink. 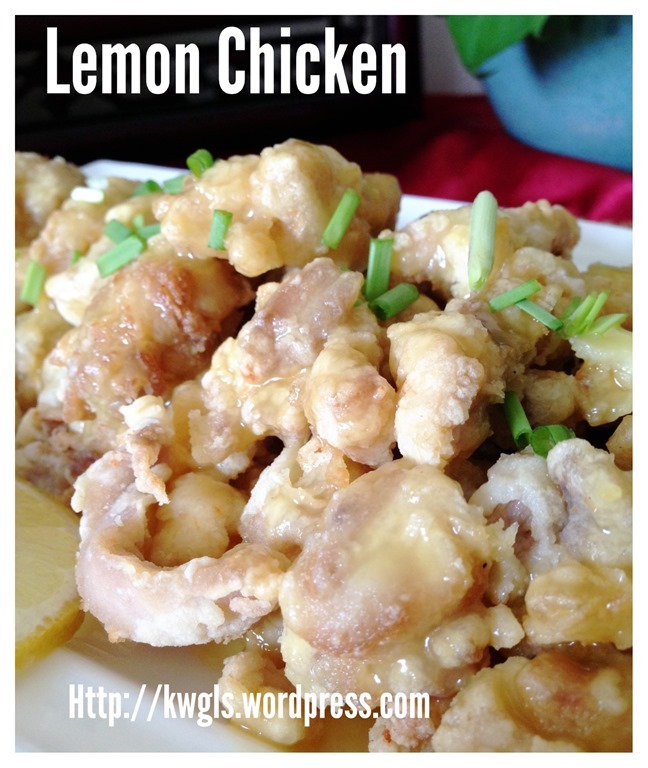 I love lemon chicken, though I’ve never seen it done battered before. Definitely going to have to give it a try! Thanks for sharing at the DBB! Great instructions, very easy to follow. This looks delicious! G’day Kenneth! 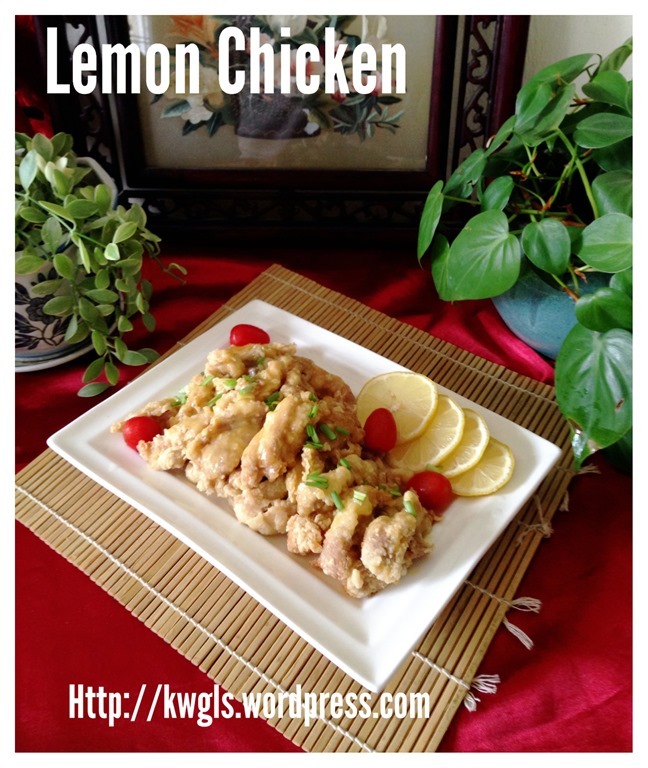 Lemon chicken is one of my childhood faves! Thanks for sharing at the Foodie Friends Friday Best of 2013 Party!